Interactive Brokers consistently ranks as one of Benzinga's top online brokers - and for good reason. Users get access to market data 24 hours a day, 6 days a week. Interactive Brokers services 120 markets, 31 countries, and 23 currencies using one account login. Try out IBKR today. In the world of stock trading, stocks listed on the Nasdaq or the NYSE are just the beginning of all the publicly traded companies worldwide. According to current market estimates, the premier stock market in Australia (the Australian Securities Exchange or “ASX” for short) sees an average daily turnover of over $4.65 billion Australian dollars. With a little over 2,500 equities listed on the ASX, outside investors now look to Australia as one of the next major stock trading hubs, especially for those interested in investing in the country’s booming mining and manufacturing industries. It’s legal for American and other non-Australian investors to buy and sell stocks listed on the ASX. Though the process is technically similar to the process of buying and selling stocks domestically, you’ll need to work through an internationally supported brokerage and trading software which will execute your trades for you. We’ve rounded up a list of some of the best online brokerages that operate from down under, as well as some information on how to identify a great foreign broker on your own. Let’s get the most obvious difference out of the way first — when you’re buying and selling Australian stock, prices will be listed in Australian dollars (AUD). Some online brokerages allow you to switch your displayed currency, which can make things easier for new traders. You can also keep an online currency converter up on your computer while you’re trading. XE.com is a free dynamic currency conversion tool that provides live exchange rates and is a great tool for foreign traders. Parcel: A parcel is a distinct load of shares that you’ve bought or sold. For example, if you have placed an order to buy two sets of 500 shares of FGO stock at different times, you may hear someone say that you’re purchasing two parcels of stock. A parcel does not have a defined number of stocks included within it; it must simply just contain more than one share. In the U.S., we sometimes refer to this as an “order” or a “bulk order,” depending on its volume. These are just a few of the different terms you’ll see when working on the Australian market. If you see a word you don’t understand, a quick search on almost any search engine will quickly offer you the American equivalent. You can also take a virtual crash course in Aussie stock lingo by visiting the ASX’s official online glossary, which contains almost every term you’ll encounter while trading in Australia. In the United States, it’s very rare to see a brokerage firm offer varying commission rates depending on the size of the trade. Most brokers offer a single fixed price to complete the trade on your behalf, no matter how many shares you’re buying or selling in a single trade. For example, one of Ally Invest’s most commonly-advertised features is its flat-fee $4 commission per trade. It doesn’t matter if you’re buying a single share of stock or one million shares, you’ll pay Ally $4 if the trade is a single movement. In Australia, things are a little bit different. Though some brokerages do copy the American style, it’s more common to see brokers charge a variable rate depending on the total value of the trade. For example, CommSec, one of the largest brokers in Australia, charges a flat-rate of up to $29.95 AUD for trades valued at less than $25,000 AUD and 0.12% of the total value of the trade for trades that constitute more than $25,000 AUD worth of stock. Traders in the U.S. highly value features like mobile app compatibility, comprehensive platform options, and education and research offerings, all of which are expected to be offered for free when you open an account. In Australia, it’s common for brokerages to offer “premium” trading resources and tools, which are offered in exchange for a monthly fee. Mobile trading apps are also a relatively new idea in Australia and mobile offerings are limited. Because many Australian brokerage firms divide their commission structure based on trade size, fees can quickly cut into your profits, especially as a large-scale trader. Before you choose a broker, carefully read the company’s list of fees and consider how much you’ll be trading before making your decision. Not every brokerage firm in Australia will offer you access to every security type. If you’re only interested in trading Australian stocks, every online brokerage will cover your needs. However, if you’d also like to trade currencies (forex), options or equities on markets outside of Australia, you’ll need to double-check that your brokerage also supports these trades. Keep in mind that Australian brokerages often charge varying commission rates for trade size and may also employ a varying commission structure depending on asset types as well. Prosecuting account fraud and theft is significantly more difficult to do successfully internationally than it is domestically. Look for brokerages that offer increased security measures (like two-factor authentication and reCAPTCHA) and make sure you enable them on your account before you begin trading. Did you know that Sydney, Australia lives in the future? Most major Australian cities are 16 hours ahead of New York City, which can make standard customer service hours inaccessible for foreign traders (unless you enjoy making phone calls at 4 a.m.). Look for a brokerage firm that offers 24/7 phone customer service or choose a brokerage with online chat or email support to save on international calling bills. CommSec is free to join and there are no monthly account fees. Simply select the account that suits you best and you could be trading with CommSec in as little as 5 minutes. CommSec is Australia’s largest online stockbroking firm with over 20 years of operation to date. CommSec’s offering list is expansive. Though the brokerage started out offering only Australian securities, the company has since expanded into derivative products, international securities, active and passively managed funds and margin lending. CommSec is one of the only brokerages in Australia that offers a free suite of education and trading tools. Education and trading tools from CommSec are equally as useful to new traders as they are to seasoned veterans. They span everything from basic introductory courses to webinars on more advanced topics. CommSec was also the first Australian brokerage firm to introduce mobile trading and its mobile app is consistently updated with new features and bug fixes. Like most Australian brokers, CommSec uses a tiered pricing system to determine how much you’ll pay in commissions. Commissions start from $10 AUD (for trades valued at less than $10,000) to 0.12% of the total value of the trade. Though CommSec’s limited phone customer service hours may leave international traders shut out, the long-standing brokerage firm is a great first choice for Australian traders and international investors alike. Interactive Brokers is a comprehensive online brokerage aimed at professional traders. Though there is no minimum balance required to open an account with Interactive Brokers, the company charges “inactivity fees” ranging from $10 to $20 USD a month for users who don’t make a certain number of trades per month. Interactive Brokers is a U.S.-based brokerage firm and one of the few American brokerage platforms that offers support for international trading as well as American markets, options, futures and forex trading. Customer service options are also available and convenient for brokers around the world, with 24/7 phone, email and chat support. Fees and commissions with Interactive Brokers are low; you can expect to pay about 0.08% of your trade’s value for most Australian purchases, though discounts are available for orders valued at over $3 million AUD. Interactive Brokers offers an extensive range of trading tools for free when you open an account and its mobile app mimics the website’s compatibility. Though International Brokers may be difficult to use and prohibitively expensive for casual traders, professional traders who look for a single suite of international investing tools will love the company’s focus on low fees and commissions. CMC offers subscription packages through a tiered format, which are all around $10 a month but with varying commissions depending on how many trades you perform. 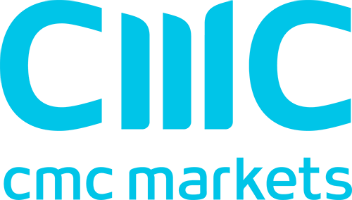 CMC also proudly boasts Australia’s lowest fees and commissions structure. When you make over 30 trades per month, you’ll pay just $9.90 AUD or 0.075% of the total value of your trade depending on volume. Opening an account with NabTrade is quick, easy, and free! Choose from an individual, joint, company, or minor account and start trading today. NabTrade offers users a clean and crisp trading desktop that’s simple for anyone to navigate, no matter your experience level. NabTrade’s commissions are a bit higher than many other Australia-supported brokerages. You can expect to pay between $15 and $55 AUD per trade depending on the trade’s total value. NabTrade does not currently offer mobile trading options. However, for new traders who dip their toes into the waters of international trading for the first time, NabTrade’s easy-to-use desktop trading platform may be worth the extra fees. With BellDirect's super fast desktop platform, you can create and fund an account in minutes. 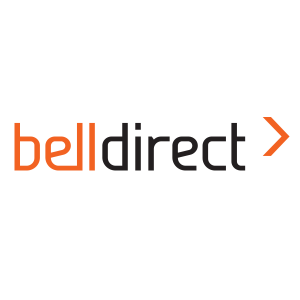 Avoid the paperwork and trade with BellDirect today. If you love firsthand research, BellDirect is the Australian broker for you. The company offers direct research from the Bell Financial Group, which is made up of subset specialist groups that scan the market for morning announcements, offers recommendations for when to buy and sell the most commonly traded stocks on the ASX and even live business radio. You can even sign up for BellDirect’s daily email service, which delivers six bullish and bearish trading ideas directly to your inbox every day the market is in operation. Though live data streaming is available as a premium service for $27.50 AUD a month, most other trading tools are available absolutely free when you open an account. BellDirect has a slightly confusing pricing strategy and tiers pricing by both the value of the trade and the number of trades you make per month. Fees range from $15 AUD to 0.08% of the total trade value (you’ll usually have to pay whichever is higher if a flat rate and percentage rate are offered) with discounts available for frequent and high-volume traders. However, for the wealth of direct research options offered, BellDirect’s fees are more than reasonable. Like trading in the United States, the best way to make money stock trading is to get a firm handle on the basics of the market before you deposit anything in your account. If you’re new to stock trading and you want to begin with the Australian market, the official website for the ASX offers a comprehensive education center that’s totally free for anyone to use. Before you choose an Australian brokerage to complete your trade, take a look through the massive catalog of courses, seminars, and newsletters available from the ASX.